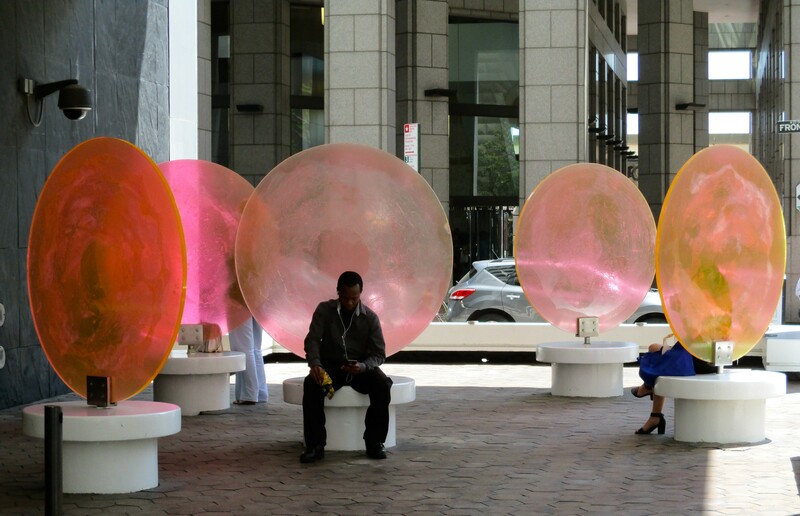 This ‘Conversational’ group of colorful public seating is located in the rear of the plaza at 77 Water Street, just off Water and Old Slip in NYC’s Financial District. 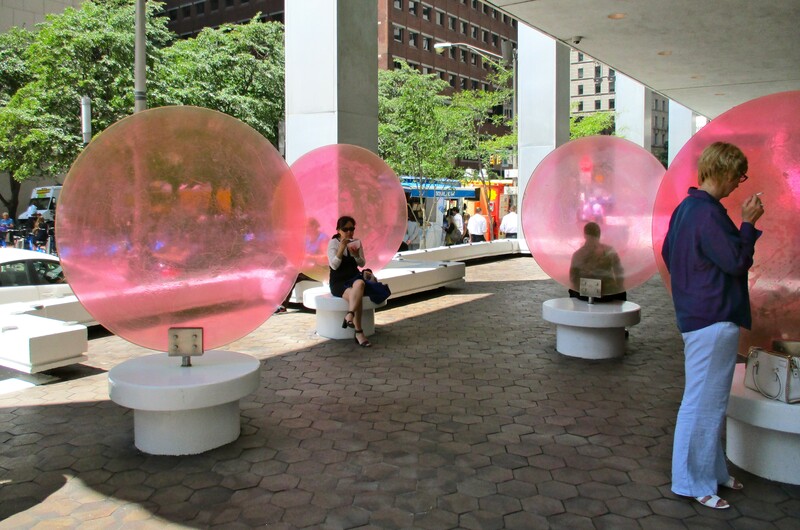 When I took these photos, a lot of people, appropriately, appeared to be using this area to sit and talk on their phones. This space is also adjacent to where a bunch of food trucks park, so it’s a convenient place to sit and eat and people watch while the weather is still decent. 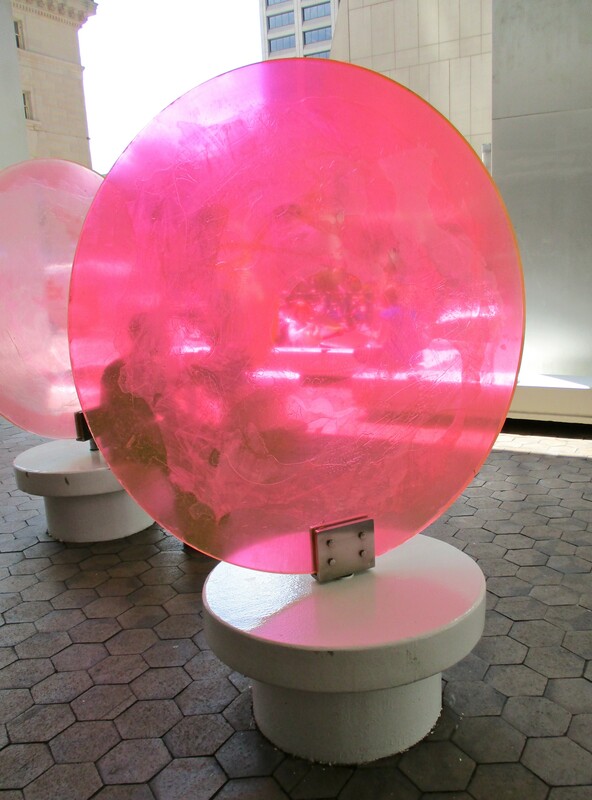 Those big pink partitions also make it an ideal location to hide from your co-workers while you are on a smoking break. I almost can’t believe they don’t have some kind of rope thing around its perimeter to keep kids from impaling themselves. But then again, it’s cool that the Museum trusts people to not be complete idiots, because to have to guard visitors against observing the work close-up would be to compromise the art; at least that’s what I think. 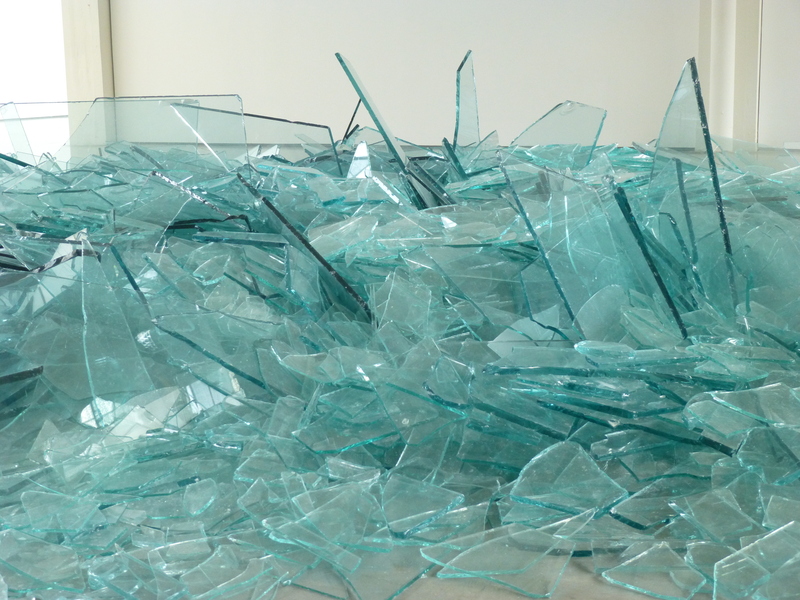 According to Artist Alan Rapp, “The tons of shattered glass forming Map of Broken Glass (Atlantis) (1969) are layered both literally and figuratively. 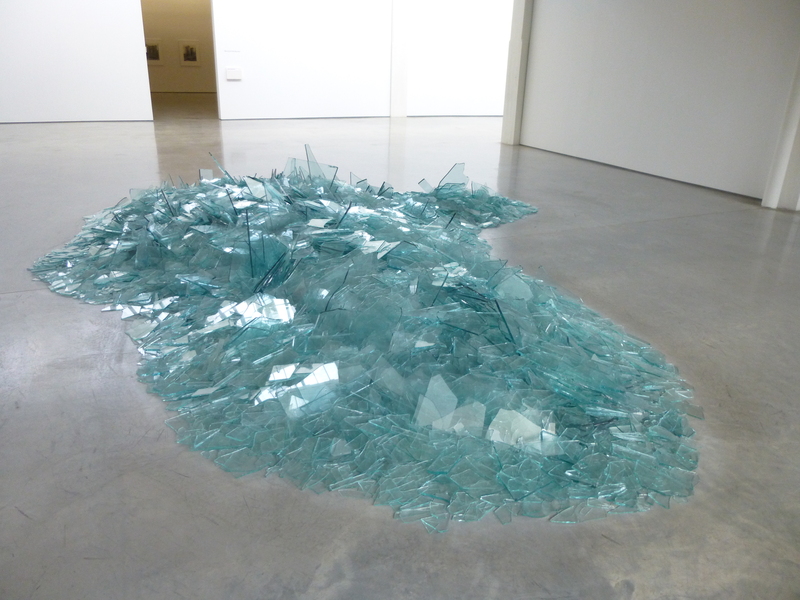 As the title implies, the sculpture is to be seen not simply as a pile of flat, sharp, transparent fragments but also as a map of a legendary lost continent (almost certainly, however, a fictional one). 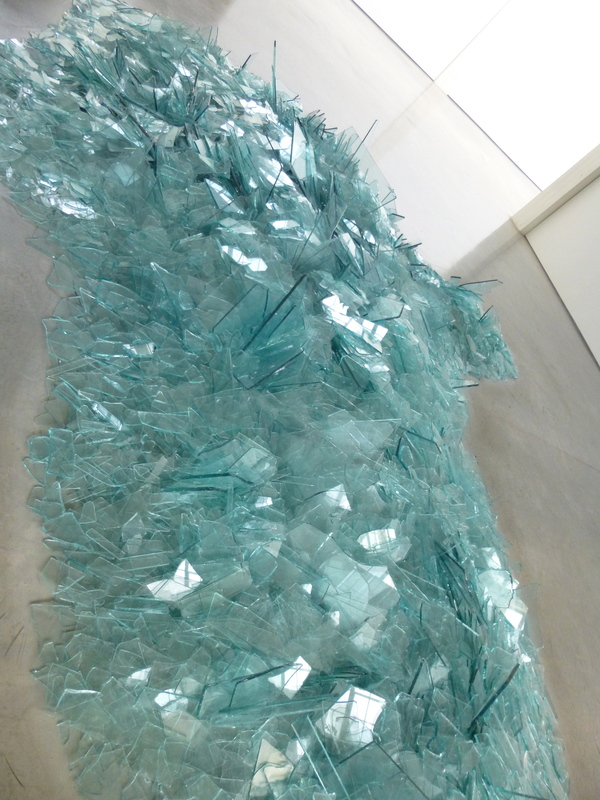 Robert Smithson died in a plane crash on July 20, 1973, while surveying sites for his work Amarillo Ramp in the vicinity of Amarillo, Texas. He was just 35 years old. 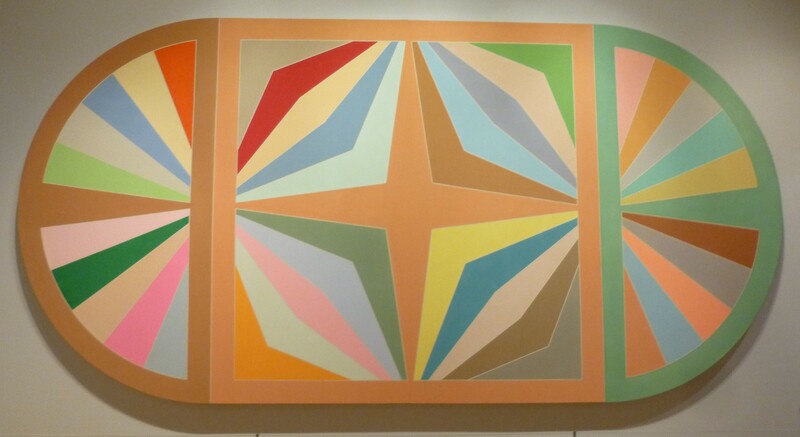 What a shame and great loss to the art world, and the world in general. Despite his early death, and relatively few surviving major works, Smithson has a following amongst many contemporary artists. 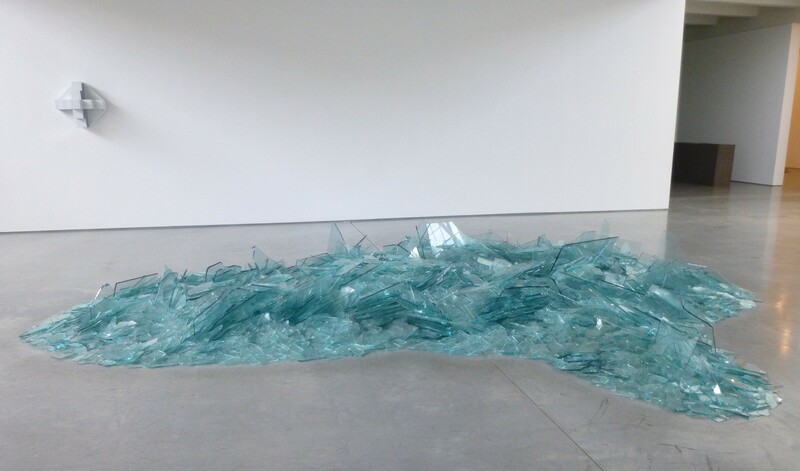 The Dia: Beacon has an entire large gallery dedicated to his work, and there are perhaps six or seven of his earthworks on display. You should grab a coffee and go see them. 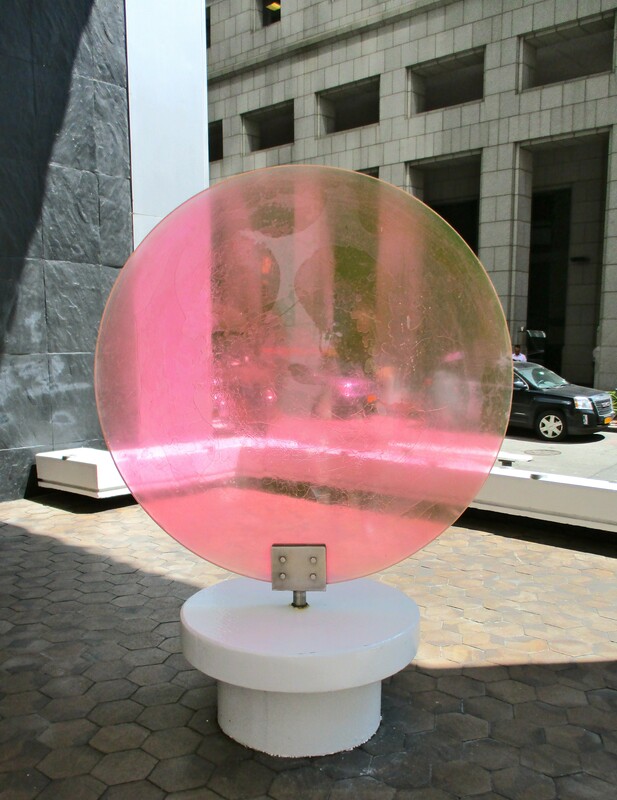 Stella’s title, Hiraqla Variation III (1969) refers to Hiraqla, an archeological site in present-day Iraq that contains a half-built circular structure probably constructed around 800 CE. Thus, the circular canvas, brilliant coloring and geometric patterning reference complex domes and intricate tile work of Islamic architecture. Photographed at the Huntington Library in San Marino, California, while on loan from the Norton Simon Museum. Foo Fighters front man and former drummer for Nirvana, Dave Grohl celebrates his Birthday today, having been born on January 14, 1969. 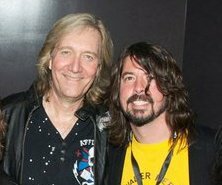 Have a rockin’ Birthday, Dave! On This Date, January 12th, in 1969: Led Zeppelin released its debut album in the UK (the US release date was January 17th). 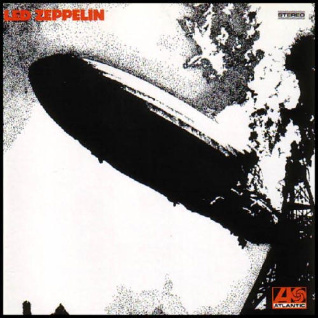 The album’s iconic cover artwork, chosen by guitarist Jimmy Page, features a Black & White photo of the 1937 Hindenburg airship disaster. Led Zeppelin! 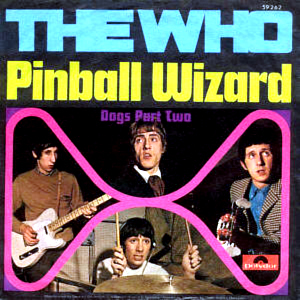 On This Date, February 7th in 1969: The Who recorded “Pinball Wizard” at Morgan Studios in London. Although it was not one of songwriter Pete Townshend’s favorites, it went on to become by far the most popular song from the rock opera, Tommy, reaching #4 in the UK charts and #13 on the U.S. Billboard Hot 100. “Pinball Wizard” remains part of The Who’s live set to this day. Perhaps they will perform it later today when they provide musical entertainment for the half time show at the Super Bowl (aka The Stupid Bowl), which I will be doing everything in my power to avoid watching!